Lightning's Girl: Coolest Kids Toy Ever? 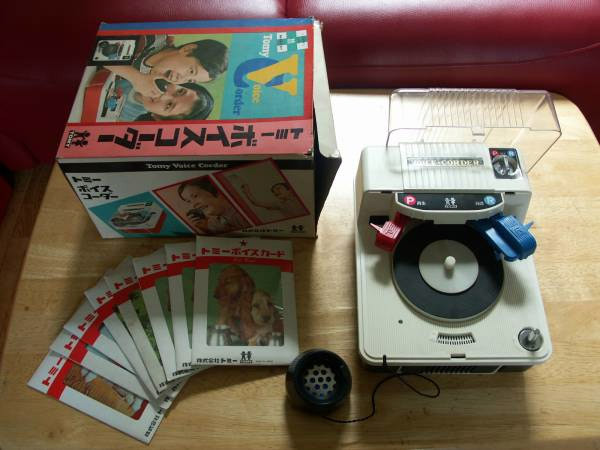 Check out his auction for a rare Tomy Voice-Corder. Released in 1972. It is a complicated and pricey toy allowed kids to record one-off dub plates on colorful plastic-covered cards which could be sent to friends and family as 33 RPM audio postcards.